I have been super productive this morning, I mean really, productive. I woke up, exercised for half an hour (my plan is to do more in a few hours), I took photos for posts this week, I made my dad breakfast (kind deed for the day) and now I'm going to organise my room. After the Christmas holiday's I was pretty relaxed and always full of food, so its nice to see myself getting back into a routine. Last night I watched an insane amount of Essex with Harry (don't ask) then we had a very large amount of KFC - it's so bad, but it taste so goood! Lets hope this week I'll stay away from fast food... Anyway, for today's post I wanted to talk about my babies. Not actual babies, I mean my babies. I am of course talking about my Yves Saint Laurent Rouge Pur Couture Glossy Lip Stain collection. I didn't think you could fit glamour and sophistication all in one product but then lo and behold, the Pur Couture collection was born. 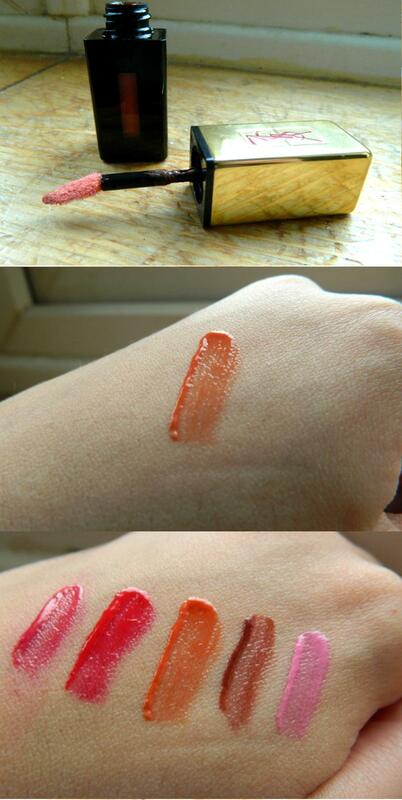 I've wanted a Glossy Lip Stain since they've come out.. I just still haven't managed to decide on a colour & it's driving me crazy! I veer between a dark, dramatic shade, or an everyday pink. I WILL decide this year! My favourite colour is the orange one!! They are all gorgeous to be honest! :) On my beauty 2013 wishlist. Hahaa believe me, this is a VERY rare occasion! Mmm the orange one is really unique - I definitely think they add a big difference to your look. Ahh I know, for once! 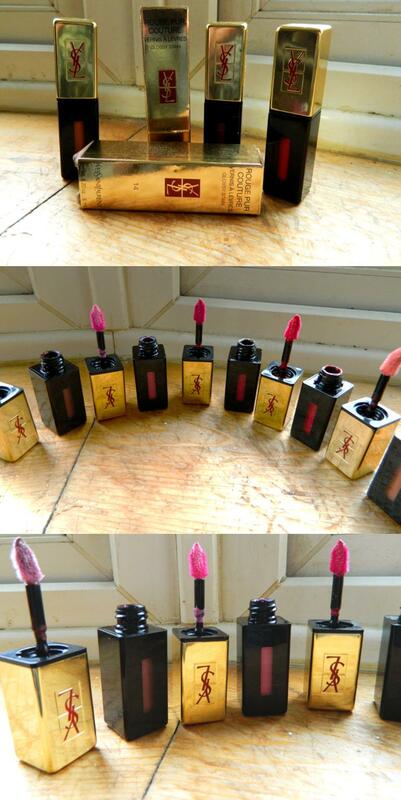 YSL definitely have amazing lip products! I really want to try these they look beautiful! I know - they're perfection!